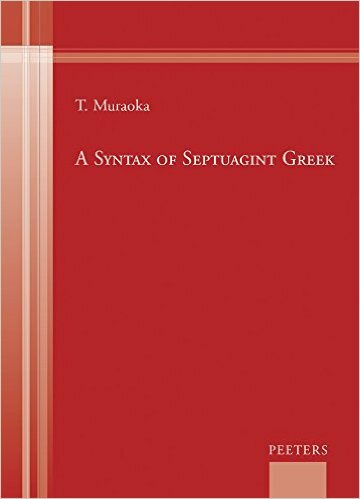 William Ross has posted his initial thoughts on Muraoka’s LXX Grammar (Amazon). He’s pretty thoroughgoing in the issues discussed. It’s a worthwhile read if you’re tempted by this volume. No Tense Outside the Indicative Mood: Origin?